Teachable Moment – Sin can grow like a weed! “Teachable moment! We’ve seen an increase in tall weeds in nearby pastures and open fields. 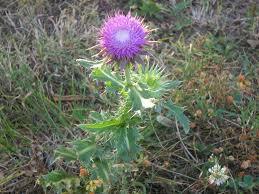 You know the weeds that grow real tall and have the big round purple pom-like flowers on top? Well, one day my daughter, Allie, (5 years) was talking about those “pretty” flowers. That started a discussion that even though they are a seemingly pretty flowers, they are really weeds. Way to “capture” a teachable moment! Adventures in Odyssey – Audio & Real Life! Focus on the Family puts out an amazing audio series called Adventures in Odyssey that our family has tremendously enjoyed. The official website, www.whitsend.org says, “Created for ages 8-12 (see my note below!) 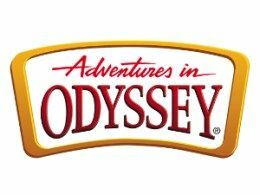 but enjoyed by the whole family, Adventures in Odyssey presents original audio stories brought to life by actors who make you feel like part of the experience. These fictional, character-building dramas are created by an award-winning team that uses storytelling to teach lasting truths. Maybe that’s why over 20 million products have been distributed worldwide.” Don’t let the target age turn you off. I don’t know about teens, but my children definitely loved them from probably 4 and up…and still love them now at almost 9 and 11. Most of episodes are light and fun, but some of them do contain heavier content such as death and divorce. We only listened to them together in the car when they were younger, so I could be there to skip ahead when needed or discuss the topics they might not have been familiar with. We have had many excellent teachable moments as a result of the values the stories present. If you like what you hear, you can download more, listen to the broadcasts on the radio, or purchase cds. AND, if you are ever in Colorado Springs, you can visit Odyssey in REAL-LIFE! Focus on the Family has done an incredible job of making aspects of Odyssey come to life in their Visitor’s Center. Check out this page to learn more about the FREE fun if you are ever passing through or have Colorado Springs as a destination. http://www.focusonthefamily.com/about_us/welcome-center.aspx The children’s portion of the Visitor’s Center has become a must for us on road trips to Colorado for skiing. We literally plan our driving around being able to stop and play for a bit…and to get a sweet treat at Whit’s End ice cream parlor! Did I just inspire a road trip? Or, maybe you’ll just get so hooked on listening to the stories that you can’t quit driving around! We’ve been known to make an extra loop or two around the neighborhood to hear more before pulling in! Kalli picked our theme verse for this year and it’s always interesting to see the way God uses His Word as we vacation with Scripture. When, may I ask, do kids quit arguing over where they are going sit in the car?! Our verse was put to use from the get-go as they verbally battled about who got the larger middle section versus the smaller back section of the SUV. We had just put our verse card on the dashboard, so after a quick reminder, they finally worked things out. On to our hotel room in New Orleans with its two double beds. Tim and I are used to a King, and the verse popped into my mind that first night when I awoke clinging to the edge of the smaller bed. He wouldn’t have been upset had I shoved him back over to his side. However, I realized that letting him continue to sleep uninterrupted would be a way to honor him above myself. 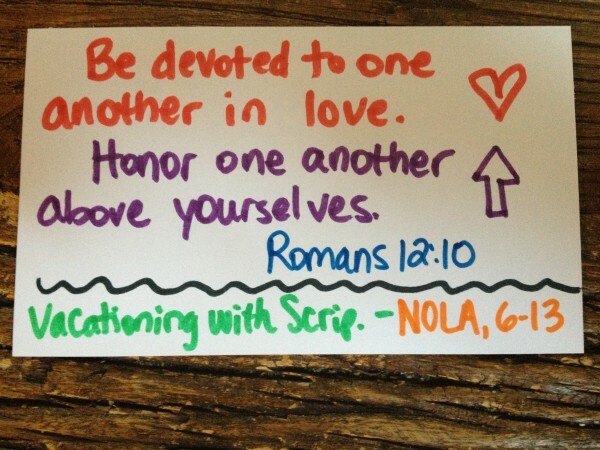 The most amazing chance we had to use this verse came as the kids and I were walking down Canal Street one morning. We passed by a young woman, maybe in her early 20s, who was sitting and holding a bowl for money and a sign that said “Pregnant and Homeless. God Bless.” My daughter asked if we could give her some money. I told her that I only had a $10 bill with me and that we might need it while we were out. As we headed back to our hotel later that morning, we were hot and ready to give our legs a rest after walking everywhere around town. The kids had seen bicycle cabs and wanted to ride one. We realized this would be a perfect time to catch one since the sun was blazing and we were worn out. We weren’t sure $10 would be enough payment to get us to our destination, but I said we could ask. Just then, we passed by the young lady again. Once more, my daughter quietly petitioned to share our money with her. After we were out of earshot, we stopped and I gave the kids a choice. We only had $10. We could give it to her or we could use it for the bicycle cab. They both chose to give it to her! I watched as my daughter ran the money back to her. The gal looked amazed and somewhat bewildered at this child giving her money. Then, she looked around to see who my daughter was with. When she caught my eye, I gave her a thumbs up to let her know we wanted her to have it. My heart still aches to remember the touched and grateful look on her face. If my kids hadn’t been with me, I would have loved to have sat down with her to find out more about her and to give her a hug and some encouragement. But as my children and I walked on, I told them how proud I was of them for their living example of our vacation verse. They were sacrificially loving and honoring someone else, a stranger no less, above themselves. Lest you think this is a picture perfect example, I hasten to tell you that one of my children continued to complain about the heat and walking even after our wonderful “lesson.” Since I was feeling the same things this child was verbalizing, I reminded all of us to lift that lady up in prayer instead of grumbling or complaining. Our temporary discomfort on that walk was nothing compared to being homeless! I’d love to hear your vacationing with Scripture choices and stories! Please share! Now, I’d like to give a special shout-out to a couple of the moms I met at our hotel in New Orleans. Mrs. Patterson, please remind me of your first name and e-mail me if you have the old copy of my book. If so, I’ll mail you the updated version. It was a joy meeting you! Wish Kentucky were closer so I could come speak! MOPS are my fave! And, dearie Kristen Thatcher…God is amazing in orchestrating our poolside connection, isn’t He? So thankful for the fast friendship you and I and our kiddos made, and look forward to staying in touch! Blessings to your sweet family! Organized Tips & Summer Fun Ideas! http://www.parentingwithscripture.com/blog/, you will see a “Categories” section. Under that, you will find all the topics that I have written about filed in their appropriate places. I’m hoping that when you need help on a topic, this will be one of your “go-to” resources. And, you may just enjoy browsing through the list and reading some parenting with Scripture tips you might have missed. One of the categories I thought I’d highlight because of the timeliness is the Summer Fun Series I wrote last year. 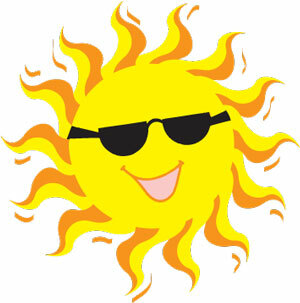 Look under the topic of “Seasons” and click on “Summer Fun Ideas.” Or, use this direct link- http://www.parentingwithscripture.com/category/seasons/summer-fun-ideas/.